Many conventional electrical problems have unconventional answers, which are not revealed in routine inspection. Small faults may be negligible but could create lasting damaging effects to life & property in the long run. In electrical systems component’s age, fatigue, oxidation, wear & tear, loose connections , poor installation can increase resistance & heat . Infrared cameras catch this heat. 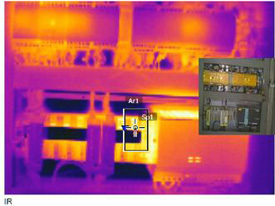 An Infrared inspection can immediately detect an overheated wire in the mesh of wires and terminals, which is impossible to see with naked eyes. 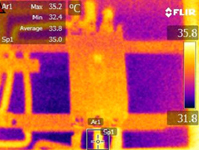 An infrared electrical inspection can minimize injury, liability, damage, catastrophic failures and downtime of the organization An effective preventative maintenance strategy must include an infrared scan. 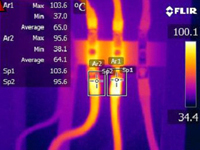 Thermal imaging is an extremely useful tool for electrical fault finding. It requires no contact being made with the components which means that the components can be checked in a live state with little danger to the user, there is no effect on the components or interruption in any processes the electrical system may be controlling. Electrical equipment can suffer from numerous faults which will show an increase in temperature. IR Inspection mainly involves scanning, image taking and image analysis and among them analysis part is most important for correct diagnosis of problems. Failure of equipment, machine in electrical or any system may result in loss of production, injury, fire or other damages to property etc., all resulting financial loss. IR Inspection identifies fault sites in advance and suggests for corrective actions based on fault severity. IR Thermography removes unnecessary preventive maintenance and typically in ordinary circumstances 30 to 40 % of the maintenance costs can be saved. • Finds problem before it finds you! • Increase product quality & consistency. • We will carry out the Thermography under full load condition Online. 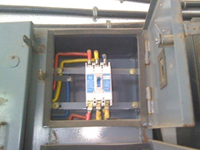 • We shall remove the doors & covers of the Main DB’s LT Panels & Sub-distribution panels. • The real Image & Thermal Image of each switch-gear will be recorded for any temperature variation. 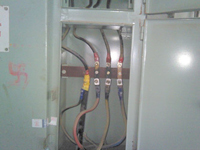 • The peak & RMS current flowing through the conductor/switchgear. • If any loose connections/corrosion of contacts is found, the same shall be mentioned in the report for further corrective action. • This one activity is treated as one electrical point. • The time required for conducting this process is @30-45 min depending on the location & accessibility. • We shall carry out this process for LT room, DG room & DG working on DG mode, Change-over panel, Main incoming Transformer & its Switch-gears (is carried out at evenings after sunset). 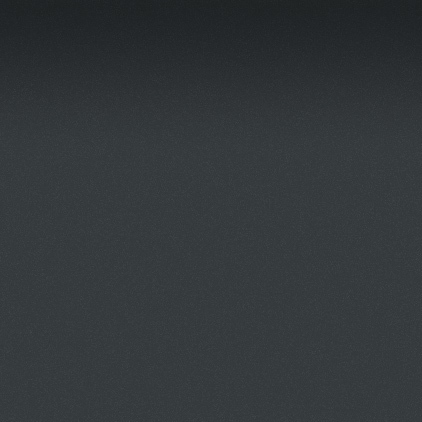 Floor-wise distribution panel (If required).